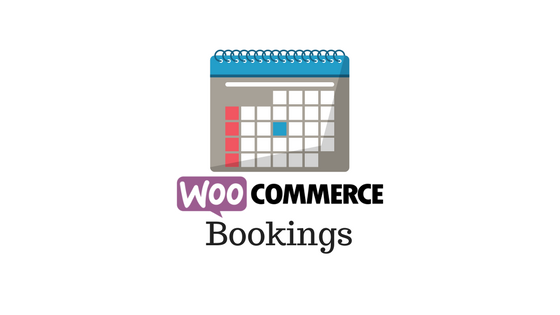 WooCommerce Bookings provide great scope to run a successful eCommerce website. Industries like travel and hospitality really depend a lot on online travel agencies (OTAs) for their online presence and continued business. Analyzing the strategies of some of these OTAs and booking sites would help you with great insights. And, if you can adopt some of these to your booking strategy, you might be up for a profitable time. 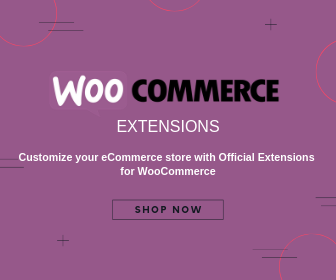 WooCommerce has an awesome set of extensions that help you with bookings strategies for all kind of businesses. 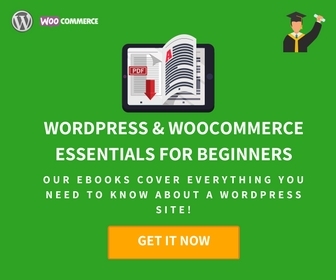 In this article, let us look into some of the effective strategies that you can try out if you are running a WooCommerce bookings site. How to create a successful WooCommerce bookings site? As you know, selling physical goods is not the only way you can manage a successful eCommerce store. If you come up with some innovative strategies for your bookings based site, you may be able to get well ahead of your competitors. Your business ideas may range from giving an option to customers to book an appointment for a service to reserving a hotel or event space. Whatever booking based idea you are focusing on, you need to make sure to keep in mind a few guidelines. Here is a look at some of the fundamental aspects that will help you ensure customer satisfaction and conversions. When you are running a bookings based site, you may have multiple products or services. It is really important to keep these products separately with individual pages for each. Your bookable product or service might vary a lot. These might be a range of services that you offer spa treatments. You may have a range of rooms available as a homestay option. Or, you may have a range of training sessions that vary in length and content. Whatever be the range of products or services in your store, you need to display them separately. There are multiple reasons why experts insist on this. First of all, it provides the necessary clarity for potential customers to distinguish between your site’s varied products. In addition, you get the better scope to market a premium property or service more effectively. Unique copy and visual elements will provide individuality to all your products. Moreover, when your site becomes richer with unique content, it helps in your page rankings as well with improved SEO. Now, sometimes it might be a better idea to display different offerings side by side. This will provide an option for customers to compare features and choose accordingly. It is always better to create a separate page for this purpose with links leading to each individual product. There is a tendency among business owners to not publish the rate of the product or service they are offering. Expert opinion is that this is coming from a fear of competitors undercutting you by offering a lower quote. Not publishing price would probably work in some niche field where there is not much choice for customers. However, in most other fields your potential customers would find ample options to go for, if not happy with the way you are hiding pricing information. Moreover, customers, these days are mostly impatient. They must be considering multiple factors at the same time before making a purchase decision. The price, being one of the most important determinants in a purchase decision, if absent, might disappoint your potential customers. A certain percentage of users might use your contact form or give you a call. But you are going to miss a good share of probable customers right on your product page. The transparency about pricing should actually be able to portray a certain self-assurance about your business. Only very few businesses have thrived on the price factor alone. So it is quite important that you identify the differentiating factors of what your business is offering. Once that is done, you can effectively focus on those factors to create an identity for your business. Price is only one of the components, and if what you are offering is something valuable, customers would happily pay for it. Online learning platform Udemy clearly depicts the pricing for their courses right from the home page. If your customers are booking appointments for services, you may have to be really accurate with timings. For example, if customers are booking an appointment for a spa treatment, they would expect you to keep the time. The timings displayed should be accurately maintained, otherwise, your business is going to get a bad reputation. If the service personnel is taking a lunch break, care should be taken to not allow booking at that time. You definitely don’t want an angry customer waiting for the personnel and then leaving a bad review. Similarly, you might be making changes in your scheduled hours for various reasons. You need to ensure that you change the timings on the website accordingly. Same way, any terms and conditions that are not obvious should be presented in a way that customers would notice. Otherwise, you might be creating false expectations, and consequently, conflicts. Think in terms of your customers, and you will be able to ensure a great user experience on your store. 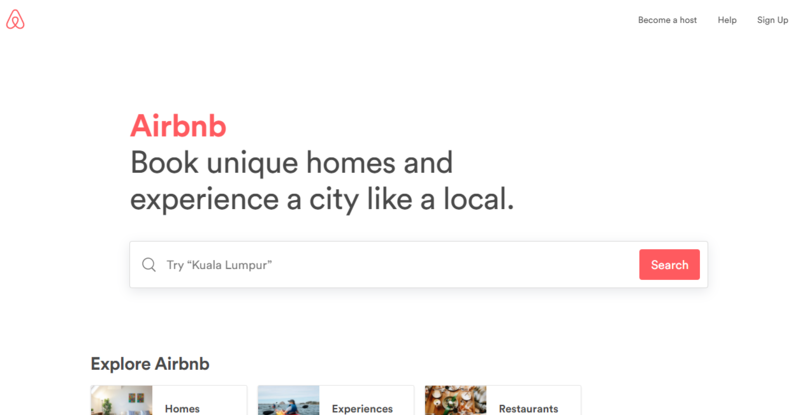 Airbnb is a great example of a good booking site with a simple and transparent presentation of facts. Customers of the current eCommerce landscape really don’t prefer going back and forth. What they are looking for is to instantly able to choose something they want at the moment and then forget about it. Your booking window should be able to let them do just that. Whatever information they need to complete the booking without hassles should be presented in a well thought out manner. There are multiple tools that would help you in developing such awesome interfaces. A little bit of creativity and a lot of analysis and customer-centric thinking would get you there. 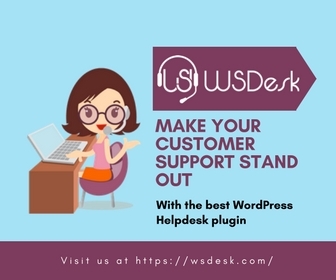 Thankfully, if you are running a WooCommerce store, there are efficient tools like this one to help you set a flawless booking site. It helps you create bookings based on date or time as a unique product type. You can use it for a variety of business options including renting out hotels or event spaces, taking appointments, or offering services. You can also make the whole experience more personal for customers using certain other tools. WooCommerce Product add-ons would help customers to personalize their bookings as they wish. Same way, additional checkout fields are another option you can try to make the customer experience exceptional. Once a customer makes a booking with your site, it is quite important to send an email confirming the booking. You may need to include some essential information in the email so that the customer stays informed. Similarly, you can set a reminder email, when the booking date is nearing. This would help customers to ensure their schedule is flowing smoothly. Moreover, if they need to make any last minute arrangements, they should be able to make those after the reminder mail. 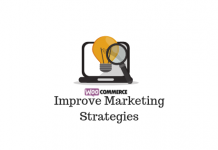 MailChimp integration for WooCommerce is your best bet to automate your email strategy. Product reviews are a differentiating factor in conversions. Potential customers pay a lot of attention to reviews and a vast majority say they consider reviews an essential factor to make a decision. It is also important to maintain transparency with your reviews. For example, if your site has only positive reviews, customers may not necessarily trust those. More importantly, how much real the reviews on your site sound will be more of a determining factor for conversions. Moreover, you can creatively highlight favorable reviews or customer testimonials to get more attention. Here are a few options to get ahead with your WooCommerce product review strategy. You may need to run quite a few marketing campaigns to gain interest in your store and services. To get an initial traffic surge to your site, you may have to depend on multiple channels simultaneously. An analysis of booking.com’s strategies during their peak popularity period shows a combined effort from multiple channels contributed to their huge traffic. These channels include paid searches, referrals, email campaigns, social media initiatives, etc. A valuable insight about their strategy is that they used different strategies at different time periods. This even includes targeting particular cities when their popularity seems to be increasing in the travel circles. Though it is nearly impossible to emulate the huge success of booking.com, you can still gain a lot with an optimized strategy. You get into any field in WooCommerce, and there will be ample competition to make you sweat. You need to ensure all the latest optimization strategies are fulfilled on your site. To really stand out from the competition, you may need to offer exclusive deals and personalization options to customers. Good customer relationship management is another essential aspect you need to focus on. Keeping customers engaged throughout the process of booking and availing the service would help to create a good impression. If you customers remember that experience as something smooth, there is a high probability that they’ll come back. Optimizing customer experience also means that the pricing pattern on your store to is contemporary. Static pricing has become a thing of the past. Almost all industries are trying out ways to set dynamic pricing strategies. You can find a list of useful WooCommerce dynamic pricing strategies here. If you want some insights on general eCommerce pricing strategies, you can find those here. Having a great online presence is key to the success of any eCommerce venture. This is because a vast majority of your audience is going to make a Google search for your products or services. Interestingly, the frequency with which your potential customers from Google search results page land on your website largely determines your business success. You may have to build your online presence by getting a certain amount of reviews and feedback on external resources as well. Almost every domain will have an authoritative review aggregator site. For example, hotel bookings are largely influenced by TripAdvisor reviews. If you are able to feature your store nicely in external resources connected to your industry, it ensures customer influx. You may have to use effective customer relationship management strategies to ensure consistent engagement on your site. This, in fact, holds real potential, as a large share of your satisfied customers never really bother to post a review somewhere. Devising strategies to get them post a favorable, realistic review of your product or service would help a lot. Personalization is trending huge in WooCommerce. All sort of businesses is trying different ways to personalize user experience to acquire and retain customers. So, if you are not using some of the proven strategies to personalize your customer experience, you might be really lagging behind. Interestingly, you can try out personalization in various ways from the emails that you are sending – by providing unique discounts, or by sending a free gift. Offering a complimentary service based on a customer’s booking history would naturally delight him/her. Once you start getting the right tone in customer engagement, you will find better value for your marketing campaigns. Offering booking on your WooCommerce store is a solid idea to bring in revenue. However, you have to ensure a seamless booking experience for your customers. In addition, you have to find a unique voice for your services and brand to stand out from the crowd. It is important to balance your strategies so that you achieve the projected targets. Adopting some of the proven strategies of industry leaders might give you a solid foundation to build your business. However, as your business grows, the ability to rejuvenate your business model to retain and acquire more customers make all the difference. If you have an online store with WooCommerce, here are some interesting booking plugins.